A few days ago Barack and Moochelle celebrated Eid-al-Fitr. 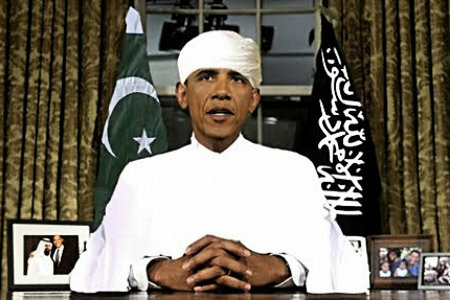 Of course, Obama took this as an opportunity to make a statement on the value of Islam to America. Americans are, perforce, left wondering just what the boy meant by “achievements and contributions.” Not much comes to mind for most of us. At least not much that is positive or that has strengthened the core of America’s democracy. On the other hand, Muslim have had a great many achievements and contributions in darkening the fabric of our nation and to weakening the core of America’s democracy. OK, Ladies; it’s Saturday morning and You’re waking up after having picked up some guy at the bar last night, taking him home, and getting your ashes hauled – well-hauled one hopes, but let’s be realistic. In what is a more and more common scenario these days, you got your itch scratched but now you want the guy to go away…quickly and quietly. But times have changed and traditional gender-roles and gender-based behaviors have gotten murky. Just as you ladies are more sexually aggressive and promiscuous, many guys are clingy and vulnerable. This might just present you with a problem that you ladies didn’t used to have to deal with – getting your one-night stand to leave. 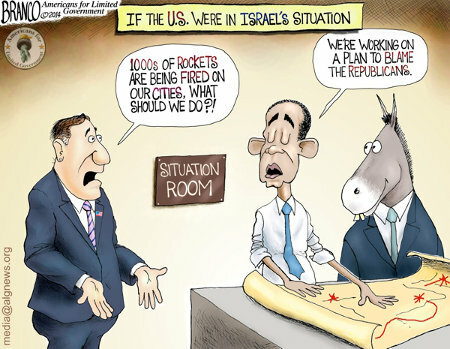 I think we could all be assured that, if some group were launching rockets daily at various American cities and towns, Obama would set aside his fund-raisers, vacations – maybe even his golf games – and come out of his semi-retirement to deal with the crisis in a manner that we come to expect of him based upon his performance and leadership to-date. 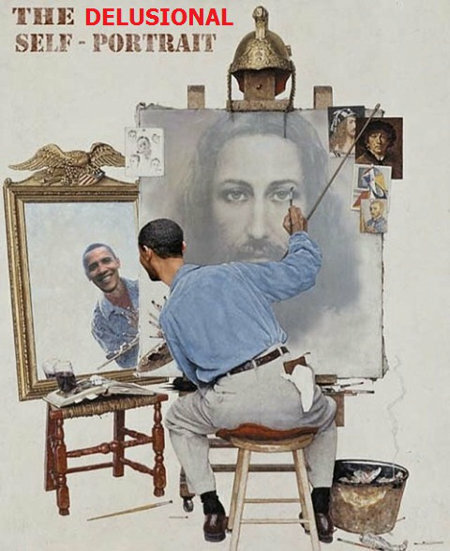 As Rahm Emanuel, Obama’s former chief of staff, counseled, “You never want a serious crisis to go to waste.” So Obama’s first order of business would be finding some way to blame Americans, especially the Republican party, for the terrorist attacks. After that, Obama’s would response would be carefully constructed and tailored to meet the threat based upon just who the terrorists were and where the missiles were falling. Obviously, if the ones launching the missiles were Blacks, Hispanics, or Muslims the Obama-driven response would have to be soothing rhetoric, attempts at rapprochement, and calls for restraint in response to the sad actions of these oppressed groups who’ve been pushed over the edge by the institutional racism and/or religious intolerance of America. Equally obviously, if the ones launching the missiles were Whites, Christians, or – gasp! – the TEA Party, it’d be a safe bet that Obama would declare martial law and send the military in to destroy these horrible, vicious terrorists. I love living in New York but I freely admit that there’s a lot of things in NYC that are not so great to see. This is especially true of Times Square if one is un-thrilled with in-your-face mercantilism and marketing. This is what makes CAMERA’s billboard, placed in Times Square just outside the offices of the New York Times‘ newsroom, such a great joy to behold. And the Committee for Accuracy in Middle East Reporting in America (CAMERA) is 100% correct. 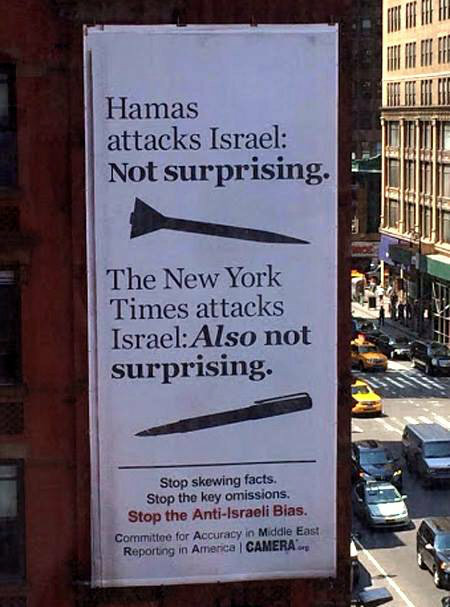 It neither surprising that hate-filled Muslims that make up the jihadist terrorist group, Hamas attack Israel with rockets not that the Lamestream Media, exemplified by the New York Times, attacks Israel with their pens. Jihad is jihad – whether it’s the honestly violent Jihad as-sayf (jihad of the sword) of the Muslim terrorists or the more cowardly Jihad bi-al-Lisan (jihad of the tongue) and Jihad bi-al-Qalam (jihad of the pen) of America’s ever-antisemitic MSM. How could it be surprising when the Lamestream media and the Liberals and Progressives they pander to are nothing but the other side of the coin of the Muslims’ genocidal jihad? Hamas wouldn’t exist if these anti-Semites didn’t consistently support them. Hamas certainly wouldn’t be using their own children – supposed noncombatants – as human shields if the MSM wasn’t eager to sensationalize the deaths of the children and blame Israel, and Israel alone, for their deaths.